Many years ago, people learned to domesticate dogs. Now, these devoted pets are largely dependent on their human owners to provide them with shelter, food, medical assistance, love, and care. Unfortunately, some dogs find themselves abandoned on the streets where there is no warm place to curl up at night. Homeless animals can freeze in the basement, get under the car, or fall sick – there is only one outcome. This is what could have happened to a German Shepherd named Bigie. The dog wandered through the streets until it got into trouble. An emergency call was made to the rescuers from Hope For Paws. 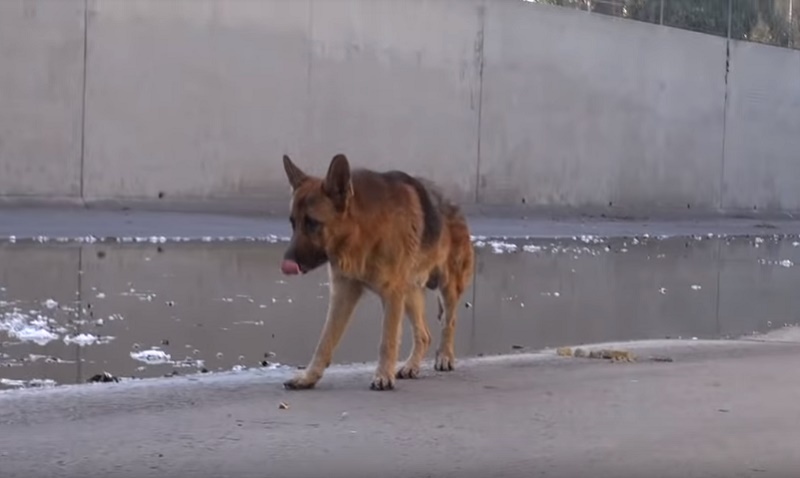 The abandoned dog got into the empty canal of the Los Angeles River, which was fenced with concrete on both sides, and stretched for several kilometers. Sympathetic people fed the dog for weeks while they were looking for help. It is good that the rescuers arrived just on time. READ ALSO: After Several Months Of Treatment, A Stray Cat Finally Opened His Eyes, And They Are A Sight To Behold! One man went down to the dog and patiently waited for him to approach. 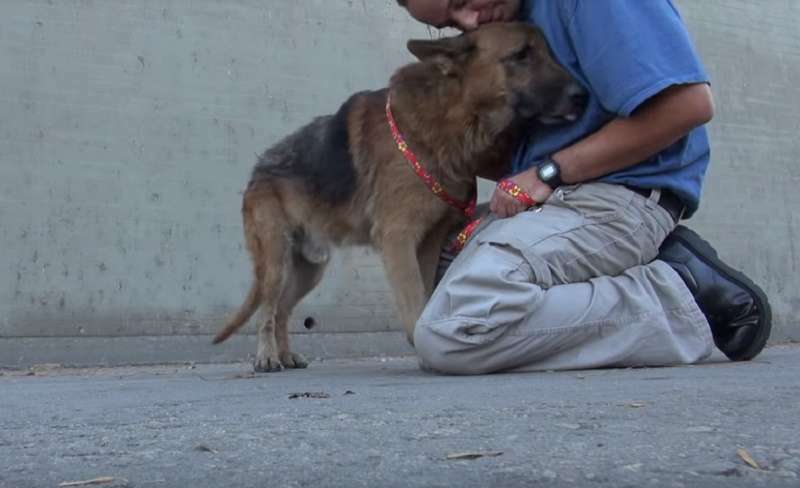 At first, the dog was afraid of the rescuer, but after realizing the man's intentions, completely obeyed him. The animal’s emotions are indescribable! When the dog calmed down and realized that they had come to save him, he began to lick the man joyfully. Other volunteers lowered the cage to the bottom of the canal where the man placed the dog. Before that, the man closed Bigie's eyes and placed a leash on him, as he was afraid. The cell was raised very quickly. The rescue operation was complete! The rescue video has more than 7 million views and over 7,000 comments. 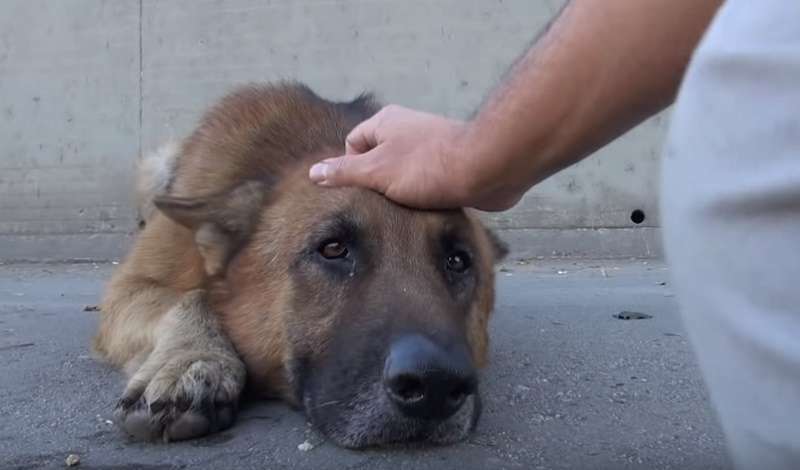 People thanked the rescuers and cried because of the dog’s reaction. We are so lucky to have people like you in this world I’m sitting here crying my eyes out of what people can do to animals I’m just so grateful that you save lots of animals and help them have a better life. The German shepherd’s face is so adorable﻿! If you see a dog that is in trouble, don’t try to help it by yourself. He can be scared and consequently become aggressive. Be sure to call the animal rescue services. They know how to act in such situations. Have you ever been a part of an animal rescue operation? Whom did you save? Share your experience in the comments.